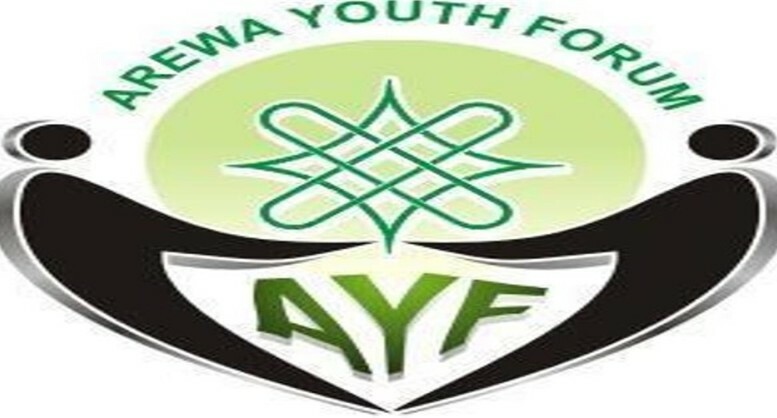 Home > PHOTOS > Quit Notice*: Arewa Youths To Osinbajo, "Sack NSA, DSS Boss, IG Or We Protest"
Quit Notice*: Arewa Youths To Osinbajo, "Sack NSA, DSS Boss, IG Or We Protest"
Coalition of Northern youths under the auspices of Arewa Youth Assembly, AYA, have threatened to protest for the sack of the National Security Adviser, Inspector General of Police and Director of State Security Services for not being able to arrest the signatories of the quit notice handed down on Ndi Igbo in the north and the pro-Biafra agitators. The Acting President, Professor Yemi Osinbajo and Kaduna State Governor, Nasir El-Rufai had, following the declaration which took place on the 6th of June, 2017, ordered for the arrest of signatories to the quit notice as well as their sponsors to serve as a deterrent to others. However, no arrest has been made as the voice of the youths has even resurged the more violently and decisively, evident in the letter they sent to the Acting President days ago asking for the Nigerian government to let the Biafra agitators have their wish. The AYA coalition in a statement signed by its Speaker, Mohammed Salihu in Kaduna on Friday also faulted the elders from the region who supported the October 1st ultimatum issued to Igbos to vacate the region. The statement reads, “Acting president should move ahead and order the arrest of all those behind this plot and even Biafra agitators and bring them to book. While the NSA should be sacked and the DG –SSS, I.G for failing to apprehend all those behind the Kaduna declaration. “If no arrest is made to serve as a lesson to others, next episode will be a full scale war and lives and properties will be destroyed by the followership of ember of disunity. What make Americans great is the supremacy of her citizens, the unity of Nigeria is not negotiable and can’t be left in the hands of misguided rascals. “While the sack of the security chief should be treated with dispatch and levity because whosoever descend into the arana of conflict will not escape the dust of the encounter, we should question the character of some of our elders we found their effusions rather too insensitive to bear especially in a country that is sitting on a delicate balance. “Their support of Kaduna declaration have made the North to South, East to West our language of engagement loaded with tempers that are waiting to explode. “While agitation for Biafra has attained a dizzying height, on October deadline, all you hear is languages of war and war alone. If separation would answer all the questions, examples from South Sudan are not something to relish. Even if we agreed to go our separate ways is not synonymous with development and peaceful – coexistence. “To our elders, they should always encourage our young people to see strength in our diversities, forge a national consciousness that would gravitate towards positive development; they should always promote national peace and unity. “It is not enough to lament what has happen in the past, it is more important and more noble to do something now in order to reshape the future of our beloved country Nigeria. “Arewa Youth Assembly is pressing home its demand by staging a peaceful protest for the sack of NSA, DG/SSS, I.G of police and the arrest of all those behind Kaduna declaration. “We call on the acting president to constitute without delay an all embracing, credible and sincere peace and reconciliation committee to resolve the brouhaha. “Arising from the above, the forum therefore advises all parties to remain calm and guard against provocative utterances in order not to further polarize the system”.